The satellite campus of the Maricopa Skill Center (MSC) will offer certificate programs in the career fields of cosmetology, business and technology, health care, and trades. 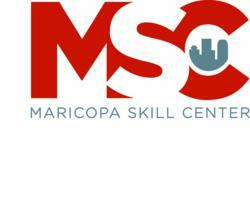 Maricopa Skill Center (MSC) is scheduled to open its new Northwest campus this fall at 2931 W. Bell Rd. to serve the needs of the Northwest Valley. The satellite campus will offer certificate programs in the career fields of cosmetology, business and technology, health care, and trades. The additional site resulted from the employment needs of Northwest Valley businesses, school districts, residents and community agencies. MSC is a vocational school, which specializes in short-term workforce training and is a division of GateWay Community College, one of the 10 regionally accredited Maricopa Community Colleges. Since 2000, MSC has been planning for ways to bring its unique vocational training to the Northwest Valley. Community groups, such as the Anthem Community Council, and research on workforce development trends indicate that Northwest Valley businesses and residents have a need for the skills and training opportunities that MSC’s programs provide. MSC offers students a quick and affordable path to a career. Most programs can be completed within a year, and curriculum is designed with input from industry employers, to ensure students have the skills needed to become and remain employed. Members of MSC’s Workforce Development Department are actively reaching out to Northwest Valley businesses. Rainie Dionne, manager of Workforce Development at MSC, says that the Northwest Valley has an immediate need for employees in the health care and customer service industries. However, MSC is also thinking of the future. The Maricopa Community Colleges’ Governing Board has approved funding for the Northwest campus, and the grand opening is scheduled for this fall. Maricopa Skill Center has been the Valley’s leading workforce development center since 1962. Through education and training, MSC graduates possess the industry-identified skills necessary to achieve long-term economic independence. MSC offers a variety of certificate programs for careers in business, technology, health care, and trades, most of which can be completed in less than a year. Small class sizes, self-paced learning, and hands-on classrooms are just a few of the benefits of training at MSC. Visit the Maricopa Skill Center or call (602) 238-4301 to learn more. MSC is a division of GateWay Community College and a part of the Maricopa County Community College District.